I’ll tell you the truth, I am a sucker for subscription boxes. I mean who doesn't like the idea of getting to try new products while getting more for your money’s worth! I thought about unboxing the recently launched curated beauty box service- The MSM Box, with you all so that you too can have a look at this curated goodness! A Four Fountains Spa Gift voucher that entitles you INR 400 off on a 60 minute massage and a complementary head or foot massage. So this is what all I got in the January edition of the MSM Box. 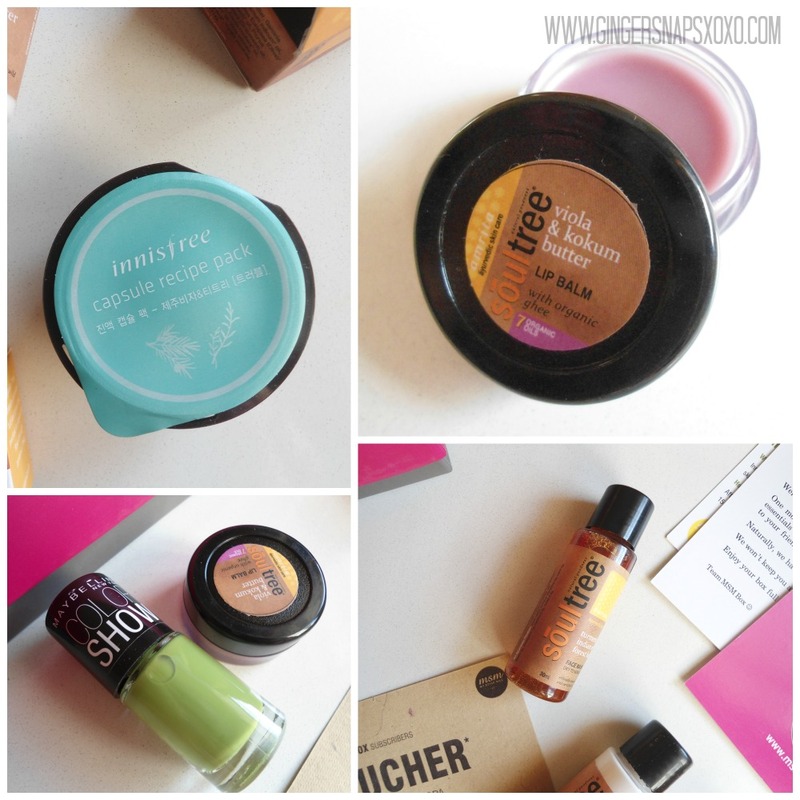 My favorites will have to be the Soultree Viola & Kokum Lip Butter and the Innisfree Capsule Recipe pack. I am not that happy with the shade of the Colorshow nailpaint, but at least this way I'll be trying a shade that I wouldn't have bought otherwise. And who knows, I might end up liking it! For a nominal subscription of either Rs 495/- for the MSM Express Box or Rs 995/- for the MSM Select Box, every month, you get a surprise goodie box containing beauty, grooming and lifestyle products from new and established beauty brands, and then some. 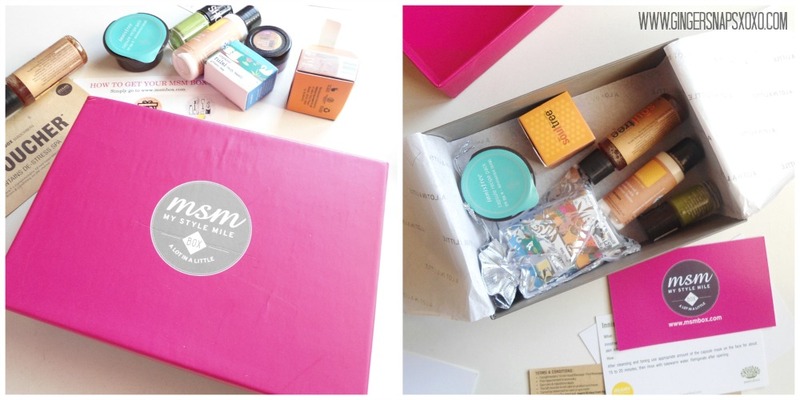 The box contains full size products along with carefully curated samples. Besides that, to really delight the consumer, we don’t just take care of your beauty and grooming needs. We go the extra mile and offer something more through our collaborations and associations with leading salons/spas, cafe’s and shopping. Want to know more about the MSM BOX? Head over to their website www.msmbox.com.